Here are our TOP 10 chicken recipes as chosen by YOU, our readers! All of these recipes are proven, tried-and-true favorites. Try them all! If there is one thing we know how to do, it’s how to make a tasty chicken dinner! Chicken is by far our biggest category. 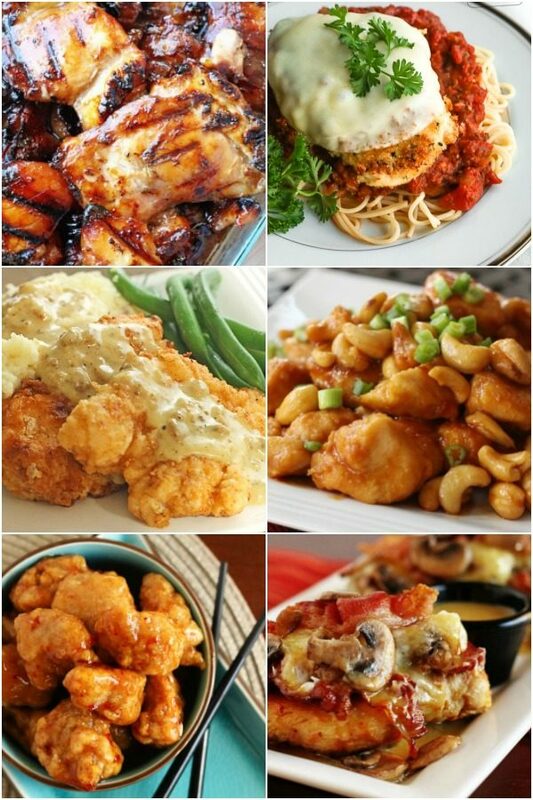 We have well over 100 chicken recipes here on Favorite Family Recipes. There are just so many yummy ways to make it! We always have chicken stocked in our freezer, we love it baked, shredded, grilled, sautéed, fried, in soups, in salads, in sandwiches, the possibilities are endless! So if you have some chicken and you aren’t sure what to do with it, you can’t go wrong with this list of chicken recipes! We scoured all of our chicken recipes and found the Top 10 recipes that YOU, our followers, have viewed, commented, and enjoyed the most. This is a list of our readers very favorites for 2019. If you find a chicken recipe you like on our site, be sure to PIN, COMMENT, and SHARE so your favorites can be added to this list next year! 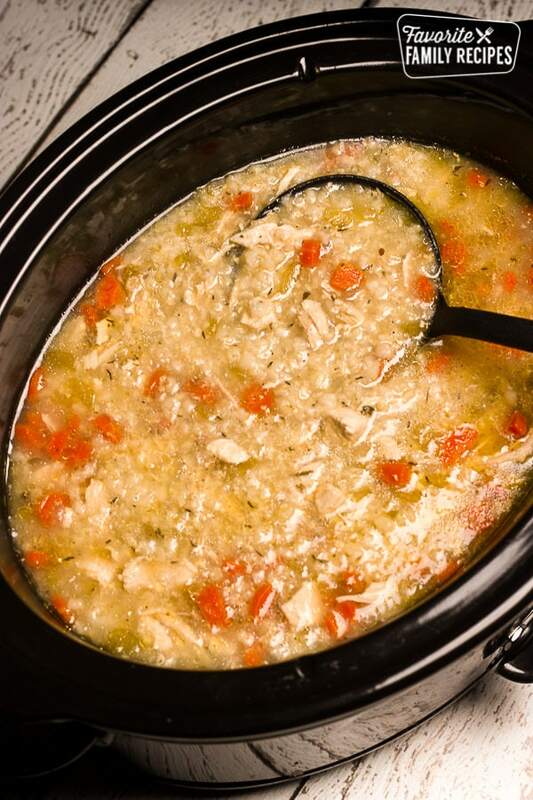 This Slow Cooker Chicken and Rice Soup is an easy slow cooker chicken soup recipe. All of the raw ingredients go in the slow cooker and a delicious soup awaits for dinner. It is so good for the body and soul, especially when you are feeling a little under the weather. 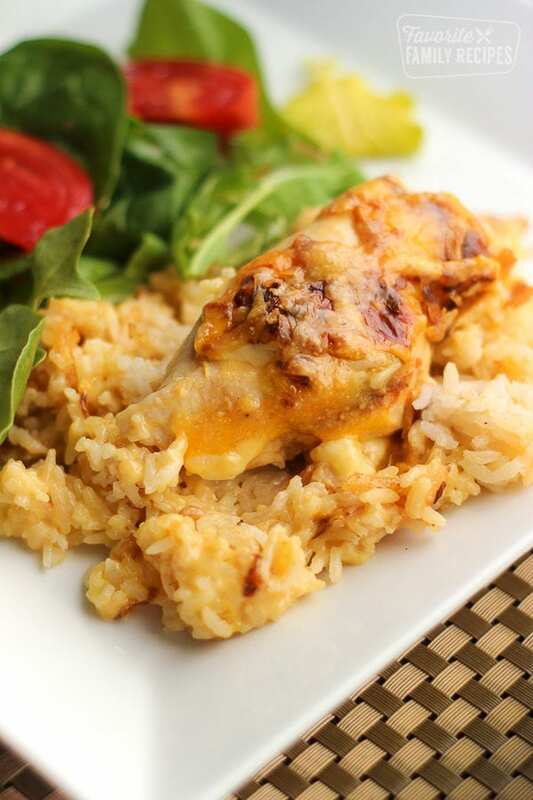 This Cheesy Chicken and Rice Casserole is an oldie but goodie. We have been making this recipe in our family for years. It is an easy chicken casserole recipe for a busy day. Only a few minutes of prep work and the oven does the rest! Not only does this casserole taste good, the aroma that fills the house while it is cooking will have everyone asking when dinner will be ready. This is definitely a dish I would label as “comfort food”. 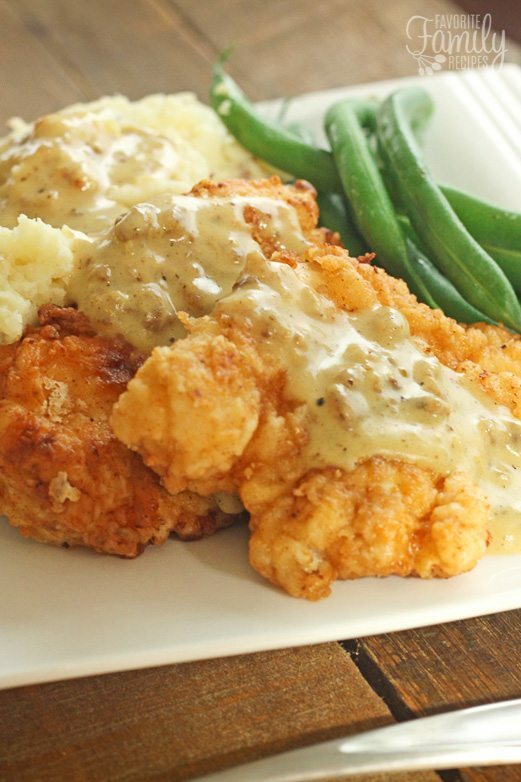 This Chicken Fried Chicken with Homemade Country Gravy is a true family favorite that always has everyone begging for more. It is perfectly crispy on the outside, tender on the inside, and the gravy is to die for. We always serve with mashed potatoes (can’t let that gravy go to waste!) and some kind of steamed vegetable such as corn, beans, or peas, as well as a side salad. Trust me, your family is going to love this one! 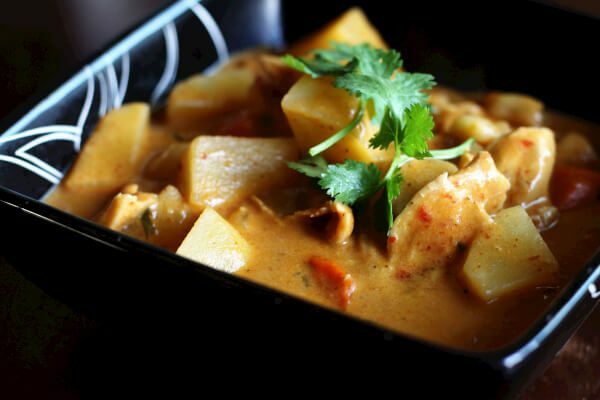 Chicken Massaman Curry is one of my favorite savory Thai chicken recipes. Why order take out when you can make it at home faster than you can get it delivered? 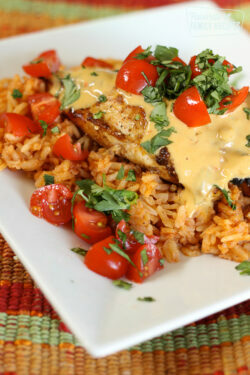 With chicken and potatoes cooked into the flavorful sauce, it is absolutely delicious! 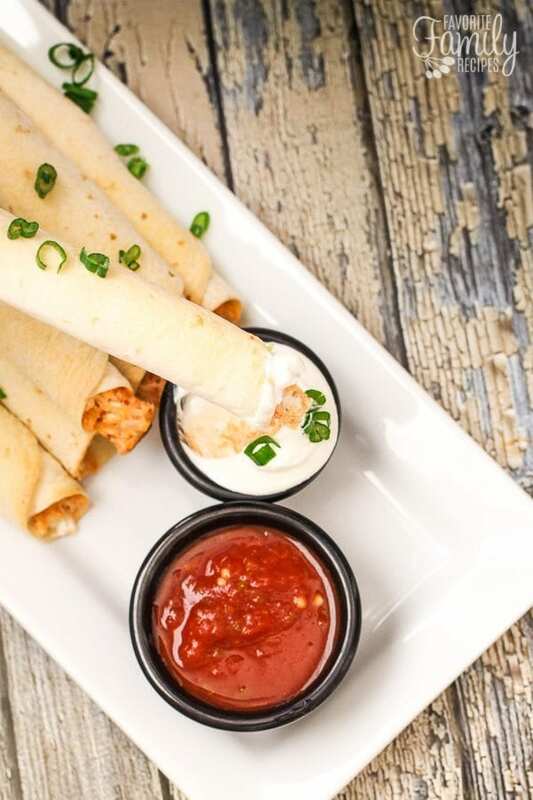 These Chicken Flautas are a great dinner if you don’t have a lot of time but still want a family-pleasing meal. 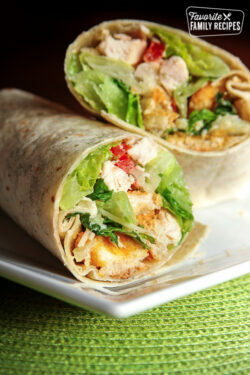 They can be made in less than 15 minutes and they are always a huge hit. They can be served as an appetizer, snack, or as a main dish for dinner. I love dipping these in sour cream, guacamole, or salsa. Alice Springs Chicken is the first thing I tried at Outback Steakhouse and I fell in love. 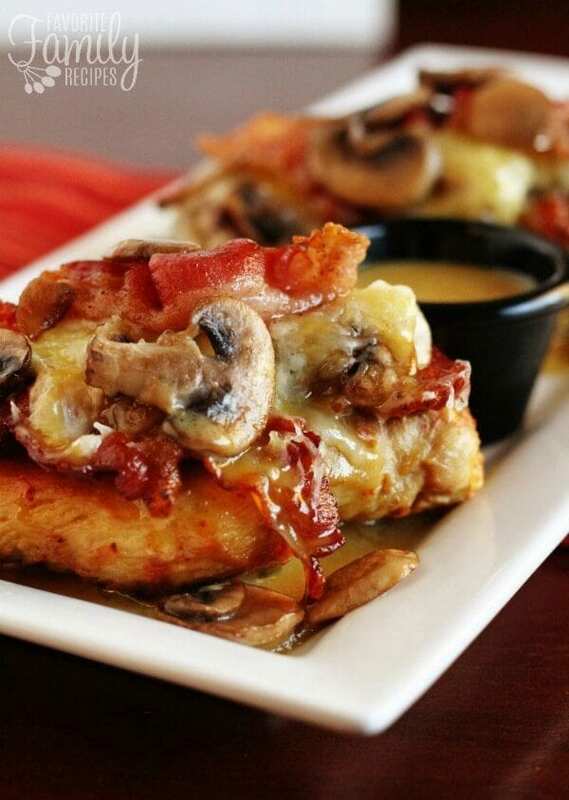 It’s a yummy cheesy, bacon and mushroom delicious hot mess. We made this delicious chicken recipe on Good Things Utah and it was a HIT with everyone in the studio! 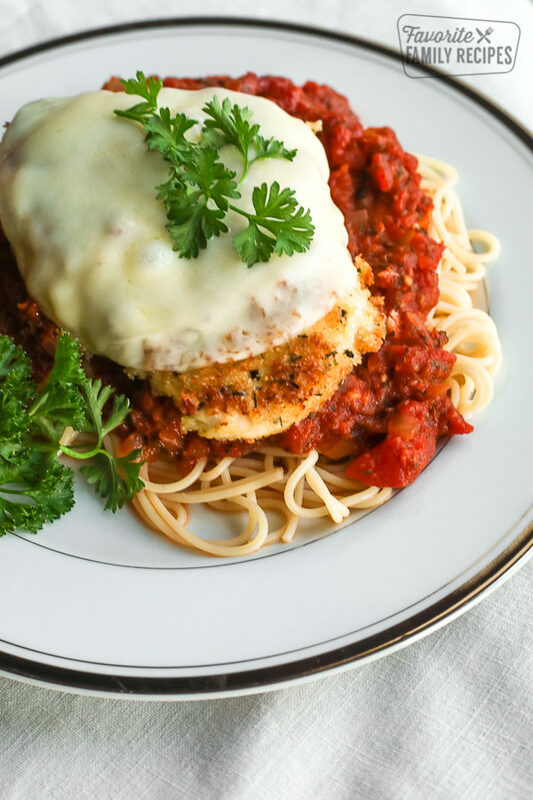 Chicken Parmesan is a hearty dish that’s so easy to make! Baked chicken in a crisp, golden crust, zesty homemade sauce and gooey cheese makes this a family favorite any night of the week! 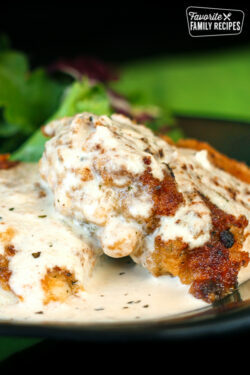 This chicken recipe rivals the Chicken Parmesan on the menu at any Italian restaurant. Your family will devour this meal and ask for seconds! 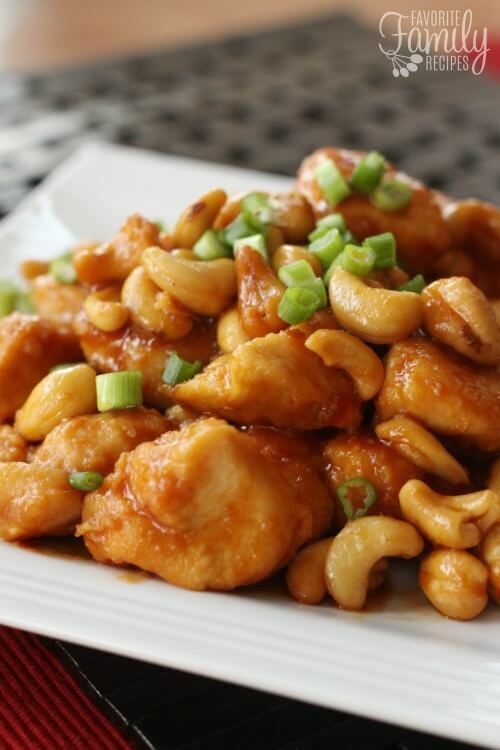 This Crock Pot Cashew Chicken is better than most Chinese takeout cashew chicken. Throw it all in the slow cooker and have a delicious, no fuss dinner! You can have this ready and in the Crock Pot faster than you can get your kids in the car and drive to the nearest Chinese place for take-out. A fun, easy Crock Pot chicken recipe! 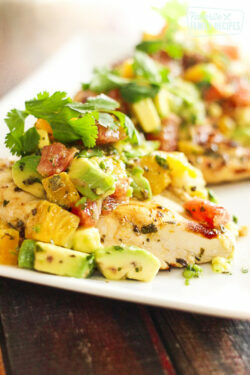 Looking for even MORE delicious chicken recipes? Here are some runner ups! Still not enough for you? Well, today is your LUCKY DAY! 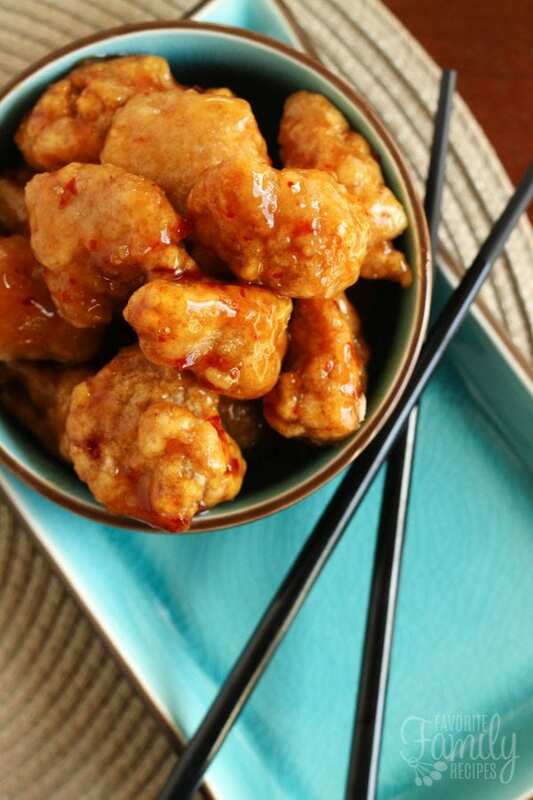 We have OVER 100 delicious chicken recipes for you to enjoy. Click HERE to see them ALL! 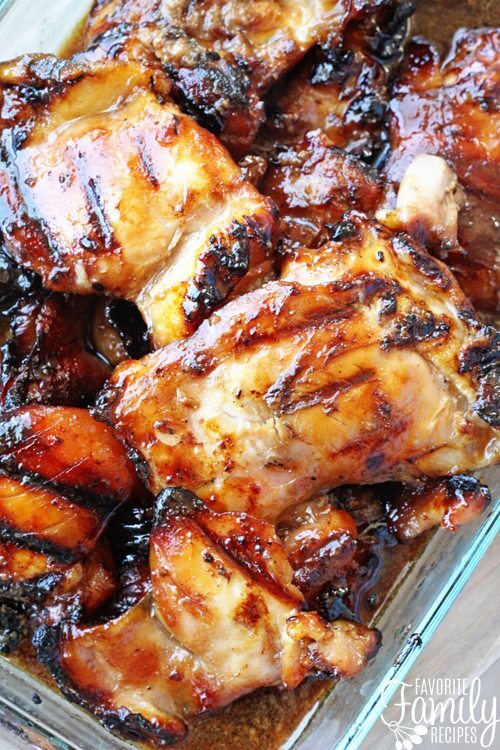 This is our favorite chicken marinade recipe. It is perfect for baked, grilled, or even shredded chicken. Combine all ingredients in a small mixing bowl and whisk well to combine. To use: Place 2-3 chicken breasts in a Ziplock bag and pour marinade over. Marinate 3+ hours or overnight. *For a versatile chicken recipe (if you are doing grilled, baked or shredded chicken) use Apple cider vinegar, red wine vinegar, or white vinegar. For an Italian twist or for a bit of a deeper flavor, use balsamic vinegar. Omg super chicken recipes almost all recipes are mouthwatering and gives the very good taste buds…i know some the recipes in them and would like to try all the other chicken recipes..